Kate Woolley is a 4th generation Californian and grew up in the Bay Area. She lived in Venice Beach and Topanga Canyon for many years but has settled in Sacramento to raise her three children. Currently Kate sits on the board of directors for the United Nations Association Sacramento Chapter and chairs the Young Professionals Group. She is the webmaster,social media director and was recently elected Vice-President. Kate has attended briefings at the UN headquarters in New York and advocated for peace treaties inWashington D.C. Kate attends Sacramento State University, working on an International Relations degree. She has an Early Childhood Education certification from Sierra College and cares deeply about education issues. Kate also sells residential real estate in Sacramento and enjoys helping families buy and sell homes. It is time to give back to society so Kate is running for Sacramento City Unified School District Trustee Area 1 in 2014. She is thrilled to be part of the Emerge community. Francesca Vega began her current appointment as Director of Government and Community Relations at California State University, Northridge in December, 2012. As a member of the CSUN President's extended cabinet, Francesca is a vital member of the CSUN leadership team. Working as part of the University Advancement team, Francesca facilitates the university’s interactions with local, state and federal governments, as well as its relationship with the business community, neighboring communities and various other stakeholder entities. 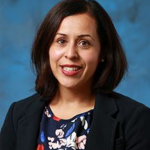 Francesca serves on a number of boards including Chicano Latino Youth Leadership Project, HOPE - PAC, North Valley Chamber of Commerce, and will be the incoming chair for the education committee of the Valley Industry and Commerce Association. In addition, Francesca serves on the 33rd Congressional District Leadership Committee. Prior to working at Cal State Northridge, Francesca served as an Assistant Director of State Government Relations at UCLA. She began her professional career in the California State Assembly in 2001 and relocated to Los Angeles from Sacramento in 2005 to work with the late Assemblymember Marco Firebaugh and later for Senator Martha Escutia (ret.) Francesca graduated with a Bachelor of Arts in government and a minor in sociology from California State University, Sacramento. She is a member of various civic and political organizations. Born and raised in Yuba City, California, Francesca now considers the Los Angeles her home. I am a US Air Force Veteran. 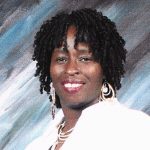 I am the Regional Director for the Federation of Public Service Employees, the 1st Woman President of the Compton NAACP and also the 3VP of the CA-Hawaii State Conference. 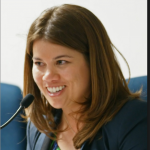 Olivia Sanwong is a Pleasanton native and was a candidate in her hometown's 2013 City Council special election where she achieved a bronze place finish. She is planning to run again in the 2014 City Council race for a full term. Olivia is thrilled to be a part of the 2014 Emerge class as she prepares for her next run. Assistant District Attorney Marisa Rodriguez is a native of San Francisco. The Berkley graduate and University of San Francisco Law School alumni’s legal work includes both civil litigation and criminal prosecution. 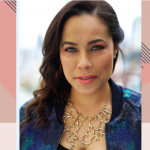 ADA Rodriguez is focused on compassionately addressing the serious issues that arise in the contexts of victim’s advocacy, restorative justice, and improving quality of life. ADA Rodriguez’ current role as a neighborhood court prosecutor enables her to collaborate with multiple local government agencies including SFPD, Department of Public Works, and the Office of Economic and Workforce Development to further multiple safety and revitalization projects to bring out the best of San Francisco for its residents, visitors, and business owners. 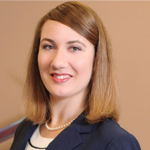 Holly Roberson was appointed Land Use Counsel in the Governor’s Office of Planning and Research in 2013. 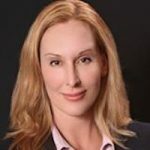 Prior to her appointment Ms. Roberson worked at Remy Moose Manley LLP, a prominent Sacramento law firm specializing in the California Environmental Quality Act (CEQA). 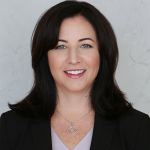 A graduate of the University of California, Berkeley School of Law (Boalt Hall), Holly clerked as a law student at the Ninth Circuit Court of Appeals, the California Energy Commission, and the Office of the California Attorney General. Prior to law school, Ms. Roberson worked for the U.S. House of Representatives at the Natural Resources Committee’s Subcommittee on Energy and Mineral Resources. Previously, she worked as a campaign manager, finance director, and independent campaign consultant for women running for statewide, federal, and local office, including Representative Gabrielle Giffords (Ret.) and California Senate Majority Leader Ellen Corbett. Holly is originally from Mendocino County. In her spare time she enjoys hiking, reading, and cooking for family and friends. She lives in Sacramento with her husband, Dexter. 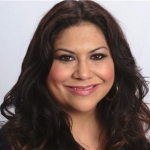 Meriam Reynosa is a current program participant of the 2014 Emerge CA Class. Meriam is a Filipino-American, born and raised in the City of San Leandro. She is a lifelong Democrat, attended local schools and studied political science. In 2006, she worked on the primary campaign to elect Senator Ellen Corbett to the California State Senate. She was also chosen to represent Cal State University of Hayward as one of 25 State University students, to partake in the prestigious Leon and Sylvia Panetta Congressional Fellowship Program. As a Panetta Fellow she proudly interned in the office of Congressman Pete Stark in Washington D.C. Upon returning from Capitol Hill in the fall of 2006, Meriam continued her work in public service as a District Representative for State Senate Majority Leader Ellen Corbett. She serves as an alternate on the Alameda County Democratic Central Committee and was selected by the body to serve as its current Recording Secretary. Meriam currently serves as the Membership Director for Southern Alameda County Young Democrats. She was a founding member and served as SCYD President from 2010-2013. She was elected to serve the 18th AD as a California State delegate for the 2008-2010 cycle. At the 2011 California Democratic Party Convention, she was appointed by Senator Corbett to serve as one of her delegates and was also elected to the CDP Filipino American Democratic Caucus Executive Board as its Recording Secretary and was elected to serve as the Northern California Region Vice Chair to the CDP Filipino American Democratic Caucus for 2013-2015. In 2012, Meriam was asked by Congressman Pete Stark to serve as CD 15's Electoral College Appointee and cast her vote for President Obama on December 17th, 2012 at the State Capitol in Sacramento and went on to partake in Inauguration festivities in Washington D.C. In October 2013, Meriam was the recipient of Filipina Women’s Network 100 Most Influential Filipinas of the World “Emerging Leader” Award. This award category recognizes Filipina women below age 35 who are making their mark in a leadership role, are on the pathway to principalship and building capacity in the community or across an organizational system. Emerging Leaders have powerful mindsets and skill sets that drive achievement for their companies. 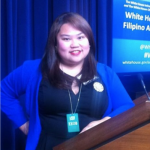 In March 2014, The White House Initiative on Asian Americans and Pacific Islanders (WHIAAPI) and the White House Office of Public Engagement invited Meriam to Washington D.C. for a meeting at the White House for a Briefing for Filipino American Leaders. Meriam received key updates from federal leaders on Typhoon Haiyan relief efforts, commonsense immigration reform, implementation of the Affordable Care Act, and small business resources. She also had the opportunity to discuss community plans of action in small group breakouts. She has volunteered on campaigns in Alameda County and Statewide, on behalf of amazing democratic candidates. Meriam also serves as an At-Large member of the East Bay Young Democrats, is an Executive Board Member to the Asian Pacific American Democratic Caucus of Alameda County, and is the Co-Chair for the KAYA Filipinos for Progress SF Bay Area Chapter. Living and working in the bay area has opened her eyes to the needs of its constituency and she hopes to serve it with the best of intentions. As a young democrat representing the future, she will continue to have a deep passion and solid belief in a fair, transparent and diverse democratic political process. She will provide support for the positive changes that meets the needs of the community, the goals of our young democrats, and will continue her work to strengthen endeavors of Democrats statewide. Victoria Ramirez deeply believes in the need to strengthen our urban communities and for the last 8 years as a Senior Project Manager at Jamboree Housing Corporation has dedicated herself to building affordable housing for families, seniors, and those with special needs. She is a proud City of Anaheim resident and serves her beloved City as Chair of the Planning Commission. She is also an avid Dodgers fan. I am a mother, attorney, small business owner, and citizen who is passionate about working to make my community a better place for everyone. I advocate for the poor, and have volunteered with service non-profit organizations, including Friends Outside, Project Open Hand, and the Vacaville Public Education Foundation during the past 25 years. In college, I was active with groups such as Students for Choice. In law school, I was an officer of the Public Interest Law Foundation, which worked to raise stipend money for students and graduates willing to choose low-paying but critical public service careers. 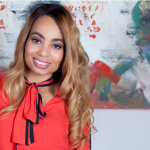 Even before I graduated at the top of my law school class, I had decided to dedicate my career to defending indigent adults and children in criminal and child welfare cases. I used the prestigious clerkship with the San Francisco courts to help in my pursuit of my dream job: defending indigent persons accused of crimes. I was fortunate to have the opportunity to work as a public defender for the first decade of my law career, and I now run a small law office with my husband, who is also a former public defender. Our law office primarily serves economically disadvantaged clients. I was recently certified by the state bar of California as a criminal law specialist. This is a distinction earned by a very small minority of attorneys in the state of California. I am actively involved with local Democratic organizations, as well as my local Chamber of Commerce. I attend and provide input at city council and school board meetings. I believe I posses a fair amount of community name recognition as someone who speaks from an informed point of view and who is ready to get involved in making real change, rather just talk about doing so. My community involvement and volunteer work over my entire adult life supports the fact that I am not a newcomer to public service. My academic and professional achievements reveal that I am serious about pursuing personal growth and change in order to be the best person I can be. I am ready to put my zealous advocacy skills to work for the larger community by running for public office.